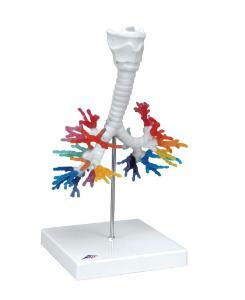 The larynx with hyoid bone and epiglottis and the trachea with primary and lobar bronchi are depicted in one color on the bronchial tree model. The larynx is detachable at the level of the second tracheal cartilage and divisible in the median plane. 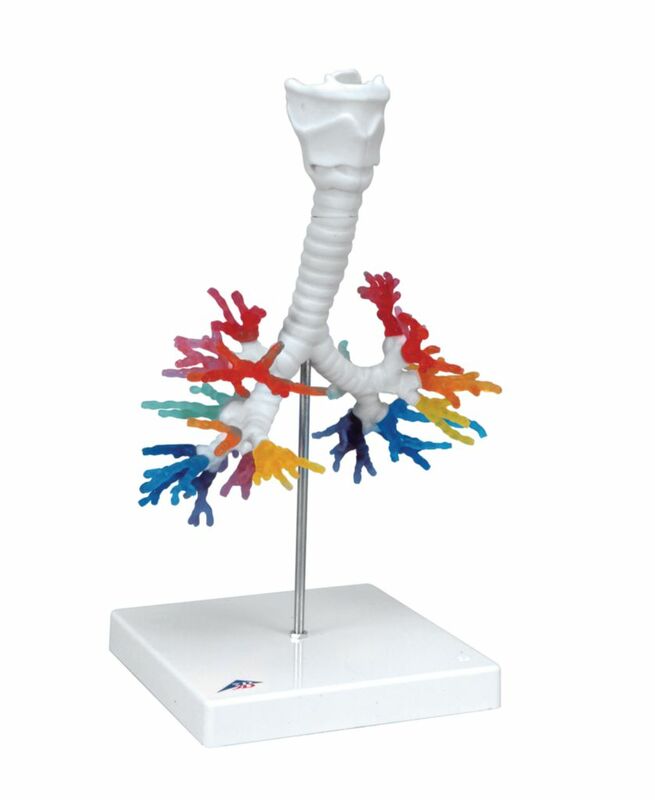 The epiglottis on the bronchial tree and larynx is mounted flexibly.